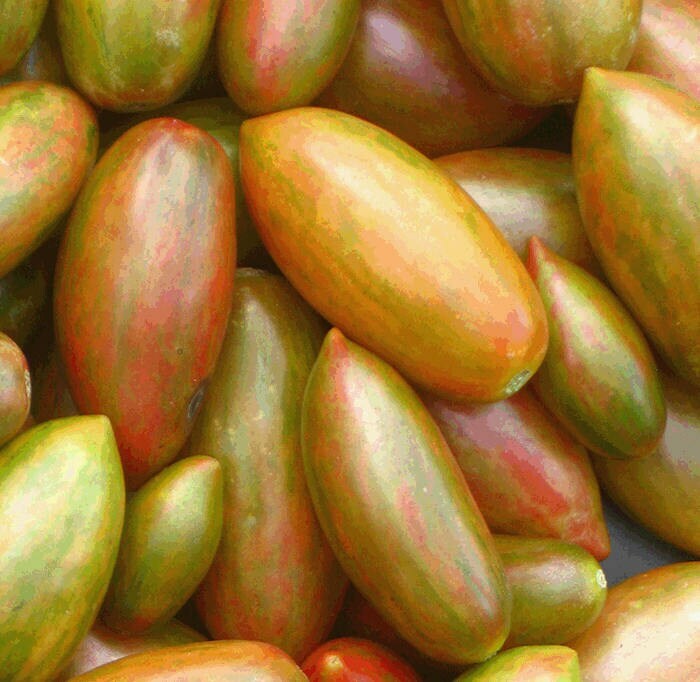 A 2-inch elongated cherry, pearly yellow with green stripes and a rosy blush, this striking new variety has a bright sweet/acid taste. Mixed in with Blush and Pink Tiger, it’s like eating a basket of sweet jewels. Created by Fred Hempel of Artisan Seeds in Sunol, California.